Companies are always looking for ways to cut costs and run lighter; and reducing packaging waste is one area where many companies can improve. When you reduce packaging waste, in most cases, you’re also shrinking the footprint of your freight, which helps you save space in your warehouse or distribution center, lowers your spend on packing materials, and can even help you save money on shipping – especially now that parcel and LTL carriers are billing more frequently on dimensional weight. So, what are our tips to help you cut down on waste? Let’s get into it. We’ve all seen small items packed in large boxes, which in addition to being a waste of materials and money, just looks silly to the end user. Knowing the exact size of your products gives you the information you need to make sure those products end up in the right size box (usually smaller). In low-volume shipping operations where you’re packing fewer than 100 boxes each day, this task can be accomplished by hand with a tape measure or ruler. In higher-volume operations, it pays to invest in an automated dimensioning solution. These systems can measure items in about a second and feed those measurements directly into your warehouse management system where they can be used to optimize packing, storing and sorting within your facility. In addition to creating a faster measuring process, dimensioners also eliminate the possibility of measurement and transposition errors that can crop up when measuring by hand. Cartonization programs help you determine the optimal way to pack boxes and pallets. They use the length, width and height measurements captured by you or your dimensioner to make sure boxes are filled to their maximum potential given the kind and number of products that need to be accommodated. Obviously, these systems are more useful when they have good measurements to work from, so make sure the measurements you’re collecting are accurate. If you’re not already using cartonization software of some kind, you could be letting hundreds or thousands of dollars fly out the door each day. Pallets and boxes that are overstuffed with packing materials and extra padding can be awkwardly shaped and harder to handle, which can actually make them more susceptible to damage than their adequately packed counterparts. When padding out shipments, make sure your product is protected, but don’t overdo it. Choose the right filler for the job, and try to use the minimal amount required for protection. In the past, single-use, non-recyclable packaging materials were much cheaper on average than their greener counterparts. Today, however, that’s changing. Biodegradable and sustainable packaging solutions are becoming easier to find, and in many cases, are available at or around the same cost as traditional packing materials like Styrofoam packing peanuts and plastic wraps. 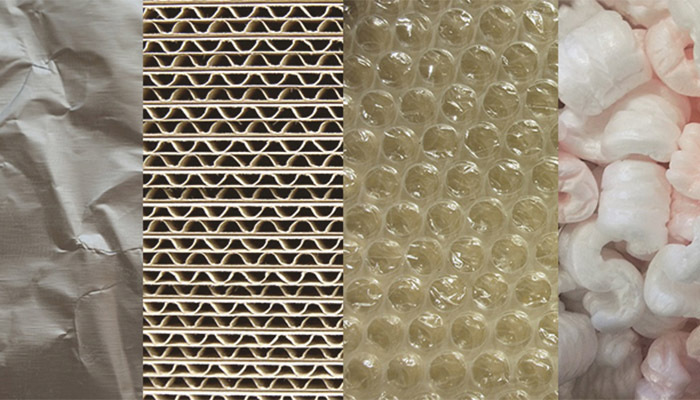 Before you order your next round of packaging materials, research sustainable solutions like corrugated bubble wrap, green wrap, biodegradable air pillows and wraps, and even packing peanuts made from corn or other plant starch materials (PSM). Besides reducing your carbon footprint, using green packaging materials can also pay dividends for your brand. Companies that market their efforts in sustainability, win praise and business from consumers. Most companies reuse packaging and transport materials to some extent already, but the ones that take it seriously, save the most money year after year. Not only that, but small and large operations alike can benefit. Reusing packaging materials extends the life of those products, reduces the amount of new product you need to buy to replace it, and lowers your waste disposal costs. That said, every business is different. Some will be able to reuse materials more effectively than others. Companies that control the transportation of their goods (closed transport networks) may find it easier to reuse materials as the materials are easier to track and account for throughout the process. Businesses that utilize multiple suppliers and carriers where goods change hands frequently will find reusing materials more difficult. The key is to identify certain aspects of your operation, or certain facilities where reuse will make a difference, and go from there.